Primary liver malignancies mainly arise from hepatocytes or bile duct cells. They become clinically evident as hepatocellular carcinomas (HCCs) and intrahepatic or hilar cholangiocarcinoma (CC). The treatment of these tumours is based on an interdisciplinary, multimodal approach, in which surgery has a major role. As techniques have improved, more patients can undergo safe operations, including extended resections and vascular reconstructions. 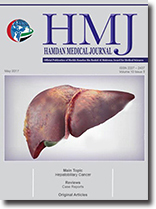 In the case of an expected critical liver remnant after surgery, techniques before or during surgery can be used to induce liver hypertrophy, which reduces postoperative liver failure. There is ongoing discussion about whether resection or transplantation in cirrhotic livers is preferred in patients with HCCs. Patients with cholangiocarcinomas should undergo transplantation only within clinical trials. A neoadjuvant treatment protocol (Mayo Clinic protocol) that improves surgical outcome in patients with hilar CCs has been established. Nevertheless, criteria to predict good outcome of liver transplantation in patients HCCs and CCs exist and should be respected. Recent innovations in liver surgery are minimally invasive procedures. The innovative approach of robotic-assisted operations is a technical upgrade to conventional laparoscopy. These methods enable experienced surgeons to perform nearly all types of surgery, including living donor hepatectomy for liver transplantation. The oncological outcomes after minimally invasive liver resection are comparable to those of open procedures. For most patients surgery remains the only chance for complete cure and therefore it is still the most commonly performed procedure for primary liver tumour treatment. New innovative techniques will support the impact of surgery in the future. Cancer of the liver, including hepatocellular carcinoma (HCC) and cholangiocarcinoma (CC), is the second most common cause of cancer-related death, and its incidence rate is increasing. Clinical diagnosis is made by imaging methods based on contrast-enhanced techniques; some special types that include mixed differentiation may be picked up on biopsy. Advanced tumour stages are treated with systemic therapy. In HCC, therapy with the multikinase inhibitor sorafenib is established and new second-line therapies are expected. In CC, however, gemcitabine and cisplatin is standard in first-line therapy. This review highlights the diagnostic possibilities and current developments in the systemic therapy of HCC and CC. Breast cancer is the most common site-specific cancer in women and is a leading cause of death from cancer in women aged 20–59 years. There have been a number of studies evaluating the role of the ultrasound-guided core needle biopsy in the management of breast lumps; however, there is lack of such studies in the United Arab Emirates. The aim of this study is to determine the sensitivity and specificity of core needle biopsy in detecting breast malignancy. The study was carried out between December 2009 and December 2012. Adult female patients who underwent ultrasound-guided core needle biopsy (CNB) for breast lumps at surgical departments (Dubai Hospital and Rashid Hospital) followed by surgical excision of that lump were included in the study. Patients aged < 13 years, males and those who did not undergo an operation were excluded. The total number of CNBs performed was 245, but only 79 cases fulfilled the inclusion criteria. Histological results of CNB were compared with the histological results of surgically excised specimens. Out of 79 CNBs performed there were 47 malignant specimens, 28 benign specimens and four classified as ‘possible’. CNB showed a sensitivity of 84.9% [95% confidence interval (CI) 72.4% to 93.23%] and specificity of 90.9% (95% CI 70.80% to 98.62%). Positive and negative predictive values were 95.75% and 71.43, respectively. The results of CNB showed medium sensitivity in diagnosing breast cancer in this study, which is below international figures. Non-standardization of the procedure and less experienced junior doctors are the main contributing factors to this lower sensitivity. CNB should be properly planned and performed by a trained specialist who has reasonable ultrasound skills, or by a radiologist. This retrospective study reviews current practice in managing penetrating abdominal stab wounds in our centre and evaluates patients who can be safely managed non-operatively. The records of patients admitted to Rashid Hospital with isolated abdominal stab injuries from January 2011 to December 2015 were reviewed. We reviewed the patients' demographic data, clinical findings, diagnostic tests and surgical interventions. Patients were eligible for inclusion if they had a penetrating stab injury and fulfilled the criteria for conservative management (i.e. were haemodynamically stable, with localized tenderness and no evisceration). Patients were excluded if they were haemodynamically unstable or had evisceration and generalized tenderness. A total of 66 patients with abdominal stab wounds were admitted between January 2011 and December 2015; 44 of these had penetrating injuries. The mean age of the patients was 28 years; 62 (94%) were men and four (6%) were women. A total of 29 patients fulfilled the inclusion criteria, but only six were treated fully conservatively. Twenty-three (35%) patients underwent surgery; 13 (57%) procedures were non-therapeutic and 10 (43%) were therapeutic. Selective non-operative management for stable patients without signs of peritonitis is an effective tool for decreasing the number of unnecessary laparotomies, but this should be practised in a specialized trauma centre and performed by experienced clinicians (preferably by the same team). The use of triple-contrast abdominal computerized tomography can reduce the rate of negative findings at laparotomy. Diagnostic laparoscopy is safe and decreases both the requirement for non-therapeutic laparotomy and length of hospital stay. Pancreatic solid pseudo-papillary tumours can be diagnosed radiologically for non-specific abdominal symptoms, for which the definitive treatment is surgical resection of the pancreas. The malignant or benign nature of the tumour is revealed only during histological evaluation after excision. We present three cases of patients with pancreatic pseudo-papillary tumours. These patients were suspected to have papillary tumours based on radiology findings and the diagnosis was confirmed after histopathology of resected pancreatic specimens. Patients suffering from benign pancreatic pseudo-papillary tumours have an excellent prognosis. This neoplasm usually does not metastasize and is amenable to cure after complete resection. The nature of the tumour is confirmed by histology after pancreatic resection, with adjuvant chemotherapy being instituted in the case of malignant tumours. Atrial myxomas (AMs) have been reported in the literature worldwide; however, a limited number of case reports of treated cases have been emerging lately in the Arabian Peninsula. It is unclear whether this is because of an increasing incidence of the tumour or a lack of reporting. Here we present two cases of AM that were diagnosed in Tawam Hospital. In addition, we will look at similar cases of AM in the Arabian Gulf. We also consider the familial patterns of inheritance of this rare tumour. Posterior reversible encephalopathy syndrome (PRES) is a neuroradiological syndrome associated with headache, convulsions, visual disturbance and encephalopathy. Cerebral imaging of the condition is dominated by parieto-occipital white matter changes. We report a case of a 33-year-old multiparous woman with late postpartum seizures preceded by severe headache and visual disturbances. She was initially diagnosed with post-spinal headache but developed seizures. She was then diagnosed as having eclamptic fits and magnetic resonance venography revealed lesions suggestive of PRES. With prompt management the patient improved. This emphasizes the importance of early diagnosis of postpartum eclampsia to allow prompt management and prevent neurological sequelae. The gut has been considered a digestive organ until the recent discovery of the gut–brain axis. The gut–brain axis is a connection through which the gut microbes are able to influence and control the emotions as well as the cognition of an individual through neuroimmunoendocrinological pathways. This article puts forth some of the well-established discoveries of the gut–brain axis, explaining the mechanism of action on how gut microbes modulate the formation of the enteric nervous system and the production of neurohormones and chemokines to alter the cognitive performance of the brain and the emotional balance of an individual through neural, immune and endocrine pathways. Moreover, this bidirectional axis acts as a new key to understand the mind–body connection in the future.